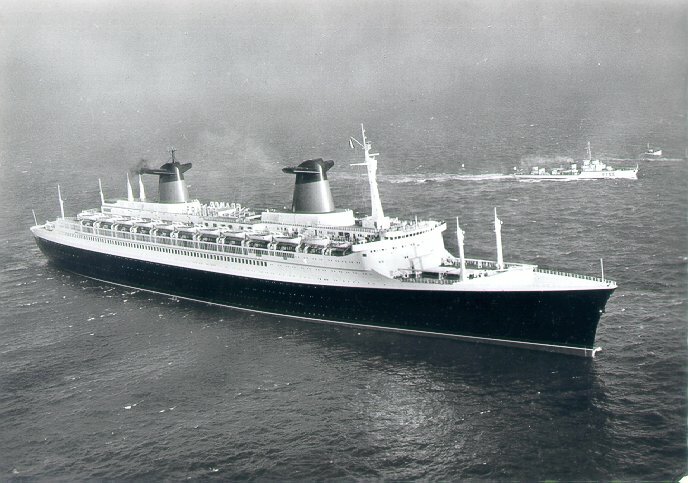 Launched in 1962 at Chantiers de l'Atlantique of St. Nazaire, France was (in terms of overall length) the longest liner ever built: 1,035 feet (315.5m). 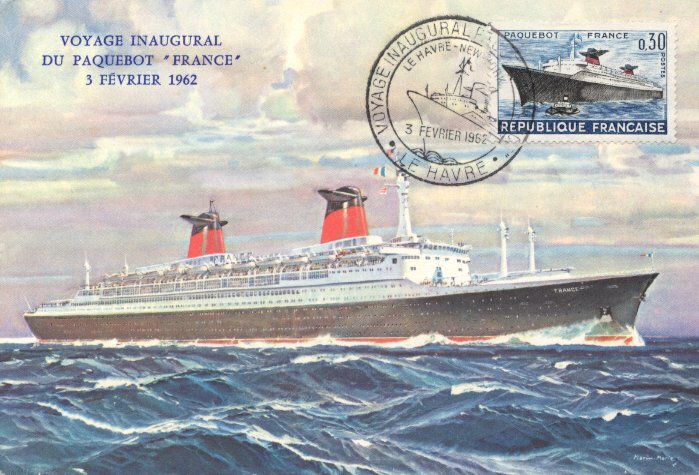 After an initial shakedown cruise to the Canary Islands, she made her maiden voyage from Le Havre to New York on 3 February 1962. 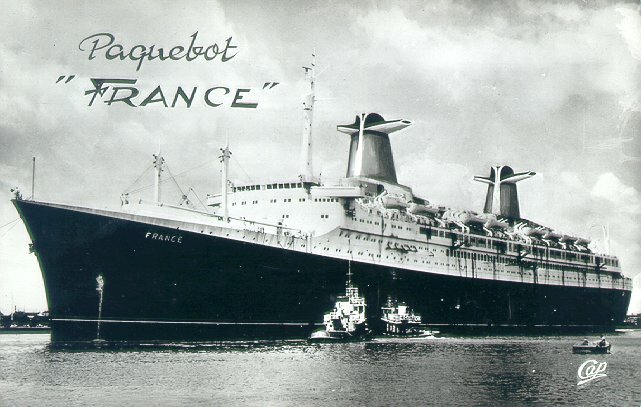 Unfortunately for CGT, by the time France entered service, the number of passenger crossings of the Atlantic by ship was in sharp decline; travel by jet was rendering sea travel obsolete. As a result, France never made money for CGT and operated only with sizable subsidies from the French government. When those subsidies were ended in 1974, CGT announced that France would be withdrawn after only 12 years of service. 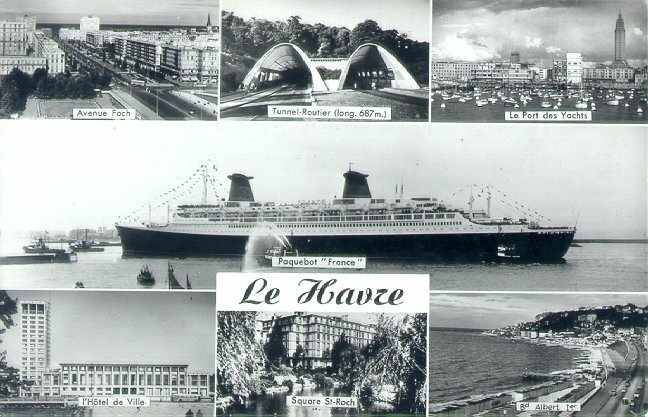 She arrived at Le Havre at the end of her last Atlantic crossing during the night of 11-12 September 1974, but did not enter the harbor. Her unionized crew members took control of the ship and refused to let her dock. The ship's passengers and their luggage were taken ashore by ferry, and the ship remained at the port's entrance until 10 October, when the crew finally relented. France was then laid up for nearly five years. 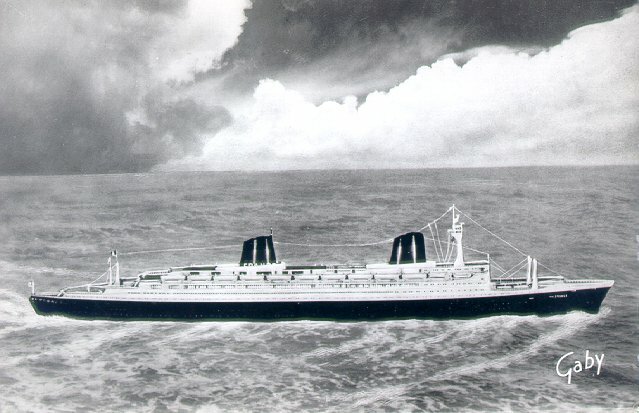 She was sold to Norwegian Caribbean Lines in 1979 and renamed Norway. After extensive refitting and modifications at Hapag-Lloyd's yard, she left Bremerhaven on 30 April 1980 for her new home port of Oslo. From there, she sailed to Miami via Southampton and New York to begin her new career as a cruise ship. Norway was again modified in 1990, and remains in service as a cruise ship with accommodations for over 2,500 passengers. Sources: Bonsor's North Atlantic Seaway; Haws' Merchant Fleets; Miller's Encyclopedia of Ocean Liners, 1860-1994.